HITMARK Pant - The Premium Cricket Trousers used by India's Test Team. 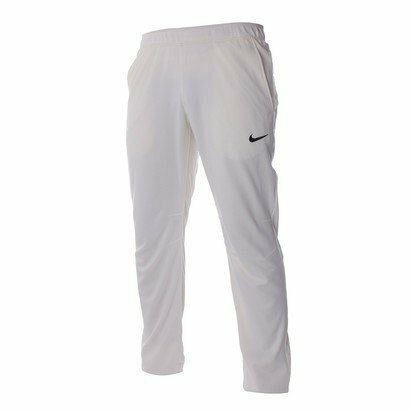 These elite trousers have a cricket specific fit to aid athlete's movements during the game for greater comfort and performance. Mesh panelling incorporated around the lower back, inside leg and calf areas for maximum breathability and comfort. Unfinished hem for ease of alteration - supplied with iron-on hemming tape. Elasticated waist with a drawcord for quick and easy adjustments. Embroidered Nike logo on left thigh as worn.